Much thanks to “Dignity01” for a great review of Keeping the Dream Alive on Amazon.com (click here and scroll down to check it out). “Lotto Dust: a straight blues line with lyrics about the power of dreams gone wrong. Highlights the strong production values with the artist’s lead vocal augmented by warm backup vocals. The reviews closes by calling the record, “A terrific effort from start to finish.” Click on over and check out the samples to get a taste for yourself! 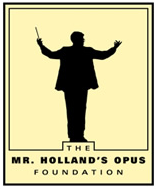 And remember – all 2014 sales of Keeping the Dream Alive will be donated to the Mr. Holland’s Opus Foundation to help schools with solid music programs replace aging instruments. Do you part to keep the dream alive for students in our school’s music programs while enjoying a terrific warm, funky, and beautiful effort!